The 99th Hottest Woman of 2009 knows it. But brothers, sisters… wear this for your children. For your grandchildren. Wear this for peers already ignorant. Supply, though, like the DYE HARD shirt, like the Sully / Beasley shirt, is super-limited. At least currently. We’re new at this and totally started off the wrong way. We’ll be smarter next time — we just need to sell these first. All shirts are $20, which sounds a little steep but that includes shipping, which is probably a mistake. Take advantage of us! We’ll get it to you in plenty of time for Christmas and the bowl game. Forget the whole button thing — if you want one of these super soft, super thin, super awesome shirts just write to [email protected] and we’ll invoice you via PayPal, which will allow you to pay for it with a credit card even if you don’t have a PayPal account. The selection is, I know, pathetic — we’ll get better. Plea$e help u$ get better! Also, that V-neck, yikes. No offense to the boyfriend, but that shirt cut is busted. Hey, I’ll admit it…I’m jealous! 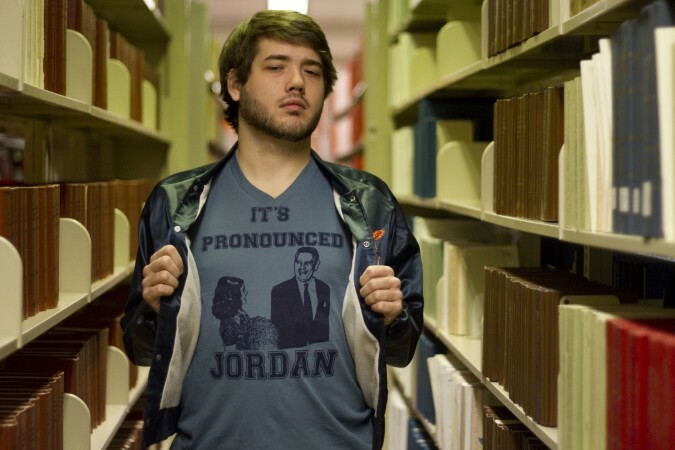 it is pronounced ‘Jerden’ as in ‘how’d ya get that out of Jordan?’. Auburn fans know better. This is wrong. 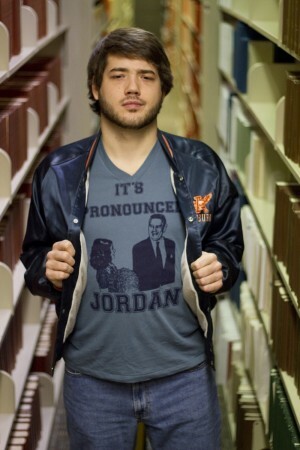 It’s NOT “like the river” or “Michael Jordan” in pronunciation. 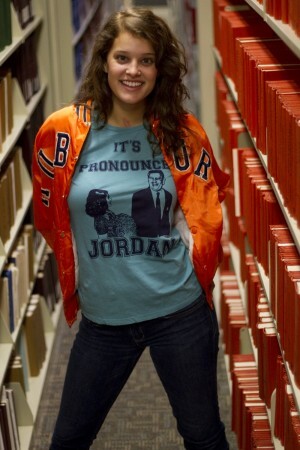 An Auburn person should know better. Rob, Paul, and anyone else — we at TWER know how its pronounced. 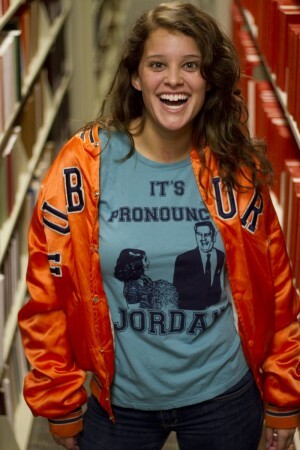 That “river Jordan” quote is actually from Shug, and is obviously, a joke. 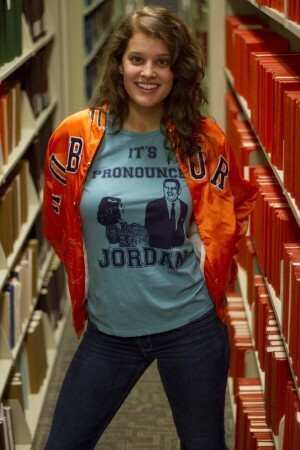 The shirt is an attempt — apparently doomed — at wry commentary (as if Jer-dan should be the only real way to say Jordan) on the history of mispronunciation even among some Auburn folk who, yes, should know better. We know better. 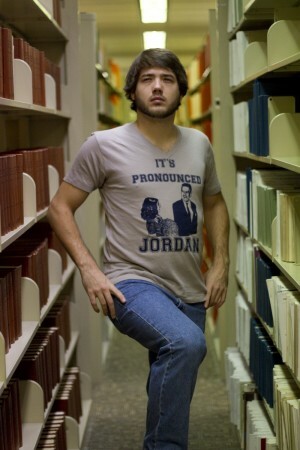 So just for the record – yes, Jerdan. Only and always.